Installation efficiency, flexibility and full compliance with the latest standards are at the heart of the new WCP Outdoor Call Point range. The outdoor WCP is an IP67 sealed manual call point product. The enhanced environmental protection allows the unit to be installed in many external environments where water and dirt are likely to be present, making it a true waterproof and outdoor product. Installation time and ultimately cost, are of paramount importance to any fire or security installer. TheWCPrangedirectly reflects thisneedbyprovidingaunique‘plugandplay’ concept designed specifically to reduce installation time. All new WCP products utilise a special terminal block, where all initial installation cabling is terminated. This terminal block is then simply connected to the back of the WCP. Simple, but effective with no re-termination required and no time wasted. In addition, all WCP products are supplied with three standard 20mm knock outs for cable entries, accommodating all types of surface wiring installations. Through new standards and legislation, both break glass and re-settable operating elements cannowbeusedwithinamanual callpoint. Toprovideyouwiththegreatest‘flex-ability’, the new WCP range can be configured as either a break glass or re-settable unit by simply changing from one element to another. No other additional parts or alternative products need to be ordered. 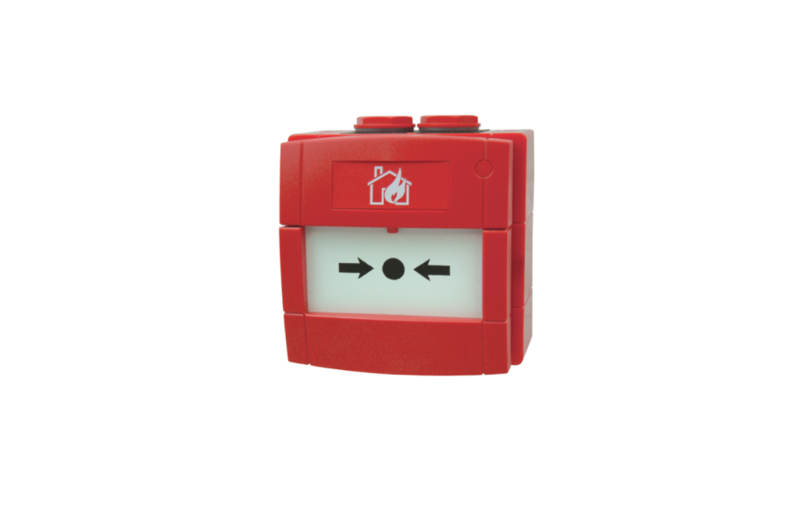 All WCP Outdoor Call Point products also help preserve the integrity of the overall system as illegal removal of the product lid will result in the call point operating and the system going in to alarm. Full compliance with the latest standards is essential and the new WCP indoor call point range is fully approved to the latest EN54-11 standard. The WCP1A product version is supplied with both a resistor and normally open clean contact electrical options. These options are easily utilised by simply connecting the terminal block to the required connection in the back of the WCP1 product. A variety of resistor versions are available, with both 470W and 680W offered as standard. However, other resistor types can be provided upon request.